The results of a survey published today (4 September 2014) by the Department for Business, Innovation and Skills show that a majority of the British public accept the use of animals in scientific (medical) research ‘where there is no alternative’. Of the 969 respondents questioned, 68% agreed that they can accept the use of animals in research for medical purposes where there are no alternatives – such as using computer modelling, in vitro testing or MRI scanning. Results also revealed that 60% accepted the use of animals in research to help our understanding of the human body and 64% accepted use to increase understanding of animal health, where no alternative exists. Around half agreed that animals should only be used in medical research into ‘life-threatening or debilitating diseases’. Animal research is currently essential to help deliver life-changing and life-saving new medicines for conditions such as dementia, cancer and heart disease. The results of this survey show that the majority of people accept this, but that there is room for improvement on openness and transparency within the field. I support the recent steps taken by the life sciences sector to increase peoples’ understanding of why and how animals are used in research, and for the on-going effort to develop alternatives to the use of animals, where possible. For instance 3 in 10 respondents (31%) believed cosmetics’ testing on animals is still allowed in the UK – which has not been the case for over 15 years. It is banned across the whole of the European Union. In addition, only 7% of respondents said that they know ‘a fair amount or a great deal about the UK government’s work to replace, reduce and refine the use of animals in research’. The Concordat on Openness on Animal Research, published on 14 May 2014, brought together an unprecedented number of organisations across the UK life sciences sector, to work together on openness and improve public engagement around the issue of animal research. Practically every medicine and surgical treatment that we and our pets benefit from today have been developed and tested using animal research. 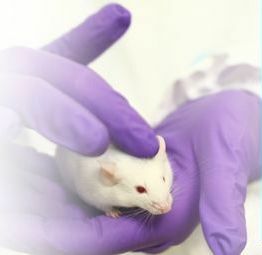 It is heartening that such a large majority of the British public can accept the use of animals in research. But what this survey also shows is that much more needs to be done to help people understand the realities of animal research in the 21st century: that cosmetic testing has been banned since 1998, for example, and that since 1986 it has been illegal to use an animal if there is a viable alternative. Since this survey was carried out, more than 80 organisations involved in animal research in the UK have committed to being more open about their use of animals, and this can only help to increase public understanding of this small but crucial part of UK science.